Reading your comment made me think you're try to hard to be smart you prove what a big idiot you are. I am sorry, dude, but one must be really dumb to read that novel and come out the other end with what you just wrote here. Sad. Perhaps. But perhaps not. In truth, MacEvoy’s post had some good points. I normally would respond in the comments section, but this book is too relevant for me to withstand posting myself. I liked it. It entertained me. It was a nice story. It was a nice idea. 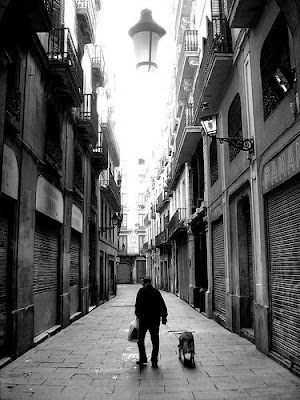 The story is set in Barcelona, which is a city that really burns me up. I’ll read anything that is set in that metropolitan masterpiece. The novel was a European hit, which intrigued me. The novel is too light to be considered ‘great’ literature, because it doesn’t stick with you. It’s in one end and out the other. But that doesn’t mean that it doesn’t taste good. How the novel will stand the test of time. Having said that, I am convinced that I am the only person in the world who also read Ruiz Zafon’s subsequent novel, The Angel’s Game. It was OK. Just OK. But if you didn’t like The Shadow of the Wind, you definitely won’t like his later work. Too many turns. Too many creative conveniences. Too much trite dialogue. Carlos Riuz Zafon has a new novel coming out next summer entitled The Prisoner of Heaven, and supposedly the story commences one year after the story of The Shadow of the Wind left off. Yes, I will read this new book. I couldn't find a translation of Marse's novel, but apparently there's a Spanish film adaptation with English subtitles.